Before you begin making all kinds of wild new year’s resolutions why not try a few things that will reduce the damage from excessive calorie consumption? Forged from hours of testing and practice, I present my Bodyweight Training Manifesto. Take a journey into unconventional approaches to developing strength and power with bodyweight training. Anyone interested in bodyweight training would have no doubt come across Convict Conditioning somewhere on the Internet. 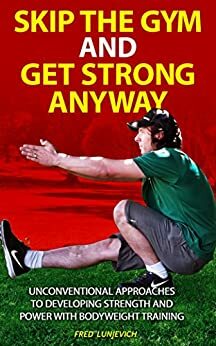 In this review, I’ll outline why I think the book is the best all round, tried and tested badass bodyweight training manifesto out there.